German Foreign Ministry spokesman Martin Schaefer said that Germany had decided to revoke the Schengen visas of a small number of people after the government concluded that "there are some people we believe to be in the leadership of the Night Wolves who we do not believe are pursuing a legitimate aim with their actions in Germany." Reminding the world of the dangers of fascism and extraterritorial military aggression is particularly inconvenient for the West, particularly NATO and especially the current political orders occupying power in Poland, Ukraine and even Germany. Reminding the world of the gradual encirclement and eventual invasion of Russia during World War 2 would make NATO's current encirclement and encroachment along Russia's borders look painfully familiar and could make NATO's already unpopular agenda even more untenable. It is the West itself that often labels nations "dictatorships" and describes them as lacking "freedom" when activities are banned simply for political reasons, yet this is precisely what is being done now along the border of Poland. "Free speech," an alleged pillar of Western civilization ensures that even unpopular points of view and activism are protected. Honoring those who defeated the Nazis and fascism in Europe is hardly even "unpopular," though it appears there are concerted efforts to change that. What's even more ironic is the fact that the West currently claims Russia constitutes a grave danger to Western civilization and all of the rights and institutions within, yet it is the West itself dismantling these rights and institutions, brick-by-brick to maliciously array its people against Russia. In the wake of a conflict described as the most expansive military theater of all time, one would expect this sacrifice to lead toward generations of enduring vigilance against fascism. What must those with relatives who perished in this great conflict, in Russia and in both America and Western Europe, think when they see a Ukrainian regime come to power backed by ultra-violent fascist militias wearing the insignia of Adolf Hitler's notorious Waffen SS divisions? 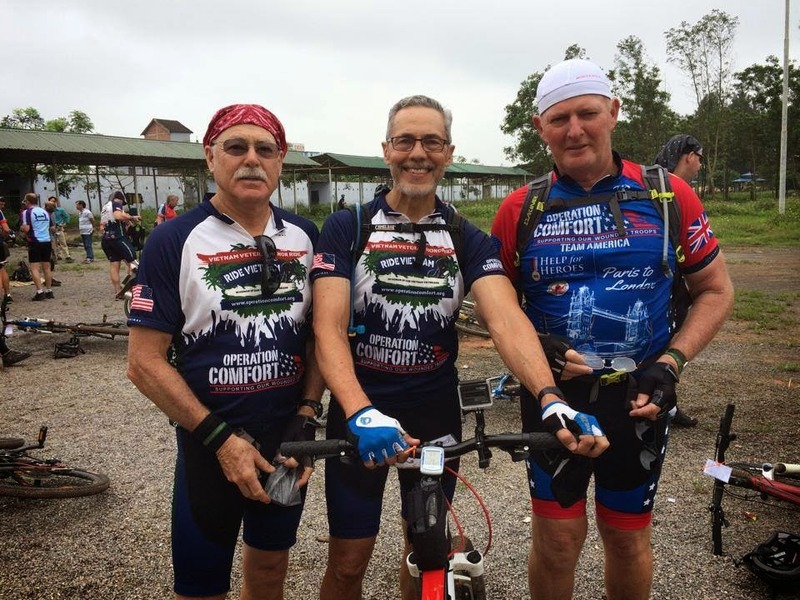 In America, biker clubs too often ride to commemorate the sacrifices of fallen comrades. There have even been events held in Vietnam, a nation the US invaded from almost literally the opposite side of the planet. Yet the Vietnamese have allowed these events to move forward, a nation also described as "not free" by the West, yet apparently more willing to allow such events than the "free" West. It is clear that the increasing animosity toward, and attempts to defile the sacrifices of millions of fallen Russian soldiers during World War 2 represents not only a temporary political row between the West and Russia, but a dangerous overwriting of history that attempts to obscure the crimes, atrocities and acts of aggression that led up to and lasted throughout the war. Obscuring the warnings taught by history invites history's repeating itself. It also represents an increasingly obvious hypocrisy pervading Western society, where the concept of "freedom" is used to label enemies as dictatorships, but is willfully trampled when politically convenient at home to an extent even "not free" nations refuse to entertain. 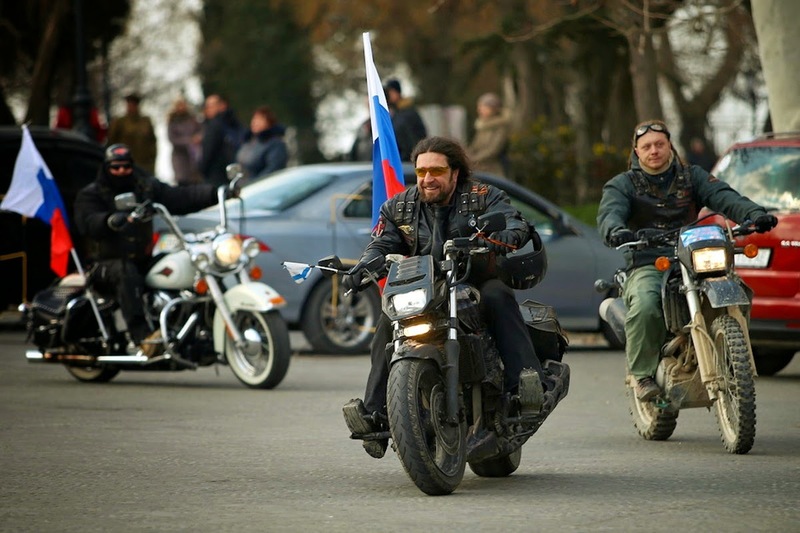 Barring the Russian bikers is just one of many attempts to disrupt this year's Victory Day and reframe Russia as the very threat it helped defeat in World War 2. However, while Russian bikers seek to follow the trail of Russian soldiers as they pushed the Nazis back to Berlin, it is NATO that is following the ignoble steps of the Nazi army as it expanded eastward toward Russia.